Adam Bateman received a BA in English and Spanish at BYU and an MFA in Sculpure from Pratt Institute. 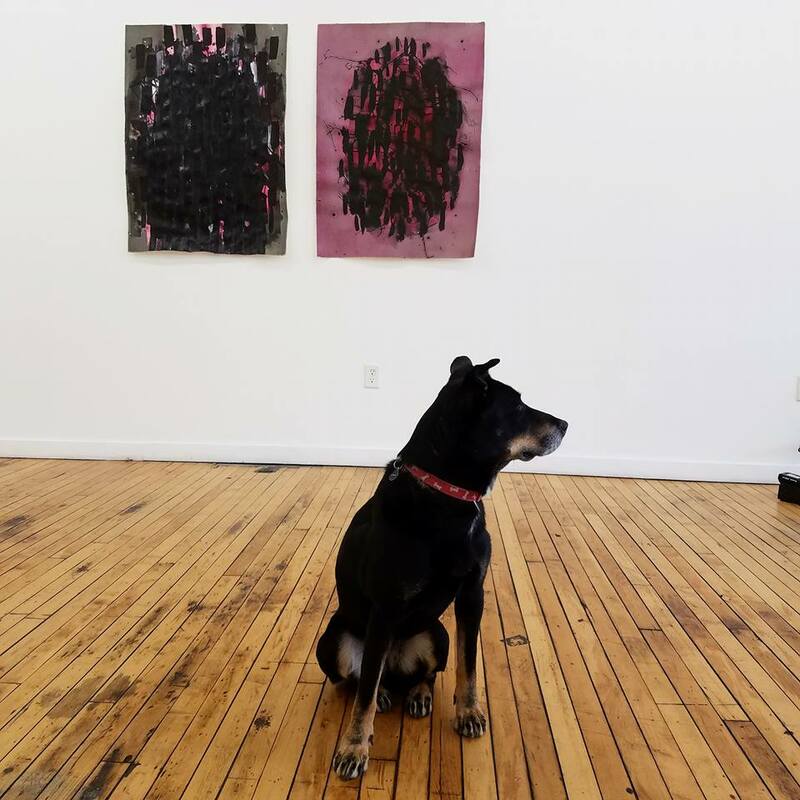 He is an artist and curator who has exhibited his work internationally, across the United Sates and at every major art museum in Utah. He is the 2008 recipient of the Utah Division of Arts and Museums Visual Artist Fellowship and the 2013 Joan Mitchell Fellowship. He has curated projects in Los Angeles and New York City as well as for a few venues in Utah including CUAC, a non-profit space that he operated for twelve and half years in Salt Lake City. Adam is a close friend and collaborator of NOW-ID - he even performed in our "NOWHERE" show back in 2015. It has been so inspiring to see his extraordinary commitment and generosity to the art scene in Utah and how incredibly significant he has been in shaping our community. This interview is a tribute to him and CUAC! I grew up in Ephraim, Utah. It was small and poor and had very limited opportunities in lots of ways. Art opportunities in particular were limited. My aunt Kathleen Peterson is an artist and I grew up next door to her and always thought I might want to be an artist, except I thought I wasn’t talented enough to do it. I lived for a year in Guatemala City when I was 23. While there I discovered bohemian life… I would hang out at coffee shops and talk about Che Guevara, read poetry, and talk about art. So clichéd. I started making drawings. When I returned to BYU I took a 3D design class from Brian Christensen who encouraged me to keep making sculptures and keep pursuing art as a focus of study. This eventually led to my decision to go to Pratt Institute for graduate school in Sculpture. You chose to focus on Sculpture as your medium - why? I was an English Major with a Spanish Minor. I discovered the world of ideas and of critical theory. Through my sculpture classes that I took by accident, I found out that the world of ideas collided with the world of making things. I had always built things my whole life. It was a revelation. Tell us a little bit about your creative process - do you work conceptually or formalistically? I totally work conceptually—even though I think my work has a strong aesthetic/formal presence. I almost always start with an idea then, through mental work, I develop a way to manifest those ideas in a visual way—the concepts also tend to engage with the intersection of visual culture and ideas. I usually conceptualize what the artwork will look like before I start and then simply fabricate it. Now that I’ve started painting, I feel like a “real” artist like never before, because I have much more of an intuitive process with them. Examples of Adam Bateman's work over the years. What have been some of the highlights of your career as an Artist so far? That’s hard to answer because they range from personal breakthroughs to new ideas to museum shows and awards. Maybe I’m most proud of being a Joan Mitchell Fellow. That is a real honor. Theorist Kenneth Burke through Greg Clark, and Greg Clark himself have been hugely influential. Neither are in the art world but both write about symbolic language and identity—Greg Clark about how those ideas apply to the landscape and how it influences identity. A graduate professor, Robert Zakarian, has influenced the way I look at art and the way I understand it. Matthew Choberka and Jared Latimer helped me understand painting. Elizabeth Tremante changed the way I think of landscape painting. Countless conversations with Jason Metcalf, Aaron Moulton, Micol Hebron, Laura Hurtado, and Enoch Lambert about ideas and about art have shaped my ideas. Who are your three favorite artists? Pierre Huyghe, Matthew Barney, Robert Smithson. I guess. What do you think are the most important features that a successful Artist has? I have been doing a lot of thinking about this lately. I’ve been redefining what success looks like. By the numbers, only 0.5% of all MFAs in art ever hold a tenure track position. Only 0.08% of all BFAs + MFAs (Bachelor of Fine Art + Master of Fine Art) ever make a living solely as an artist. Those are ridiculously low odds. I think success is being able to make art you want to make and exhibit it sometimes. I think if you’re able to continue doing that, you are contributing to culture and expressing yourself in a meaningful way. Reaching economic success and critical acclaim involves too much that is outside of an artist’s control. You have been so prolific in your career, working Nationally and Internationally - why was it important for you to come back to Utah and be based here? Ultimately my art is about place and identity. It’s about how aspects of Americanicty have been institutionalized and made visual—how institutional architectural forms re-enforce American Identity. My version of American Identity is tied to this place. It’s tied to Utah. I also like that there is opportunity to make a difference here. Tell us about the idea behind creating CUAC - what role did you feel that it played in Utah and why was it originally based in Ephraim? When I moved from NYC I was concerned that I wouldn’t have a community of people around me that understood contemporary art in the way I did. 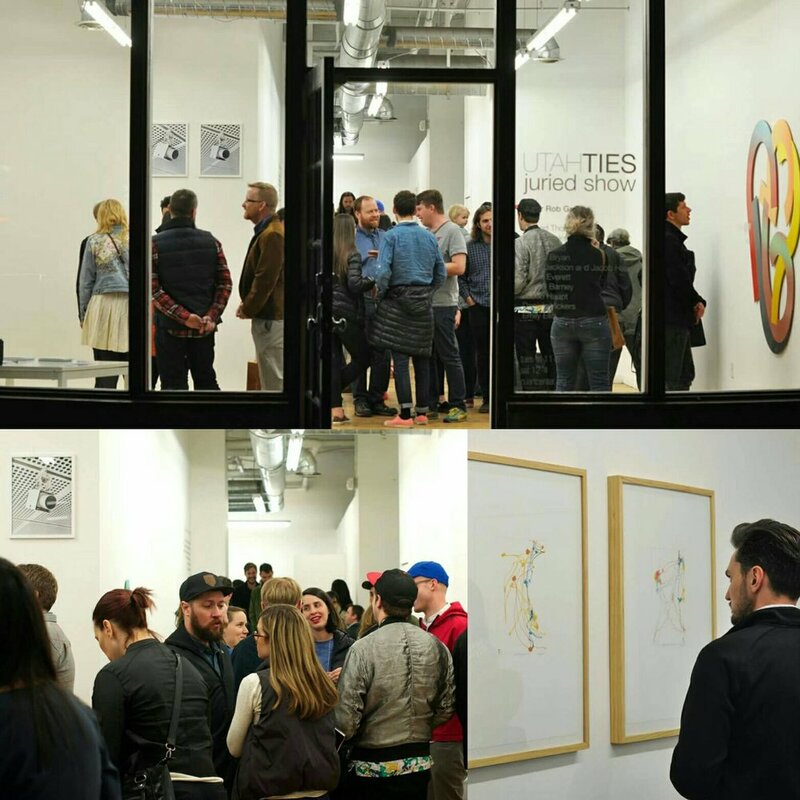 I felt like I had it within me to help create that community—to retain artists that might otherwise leave the state, to attract Utahns living elsewhere to return, to bring my colleagues from elsewhere to spend time here. It was originally in my home town because I was able to inherit a 501(c)3 and a building and make it into my vision. The door opened there. Having run CUAC for 12.5 years now, first in Ephraim and later in Salt Lake City - how do you feel that the arts community in Utah has changed over that period of time and having been such an advocate for the arts here, what do you think are the strengths but also the weaknesses of our community? 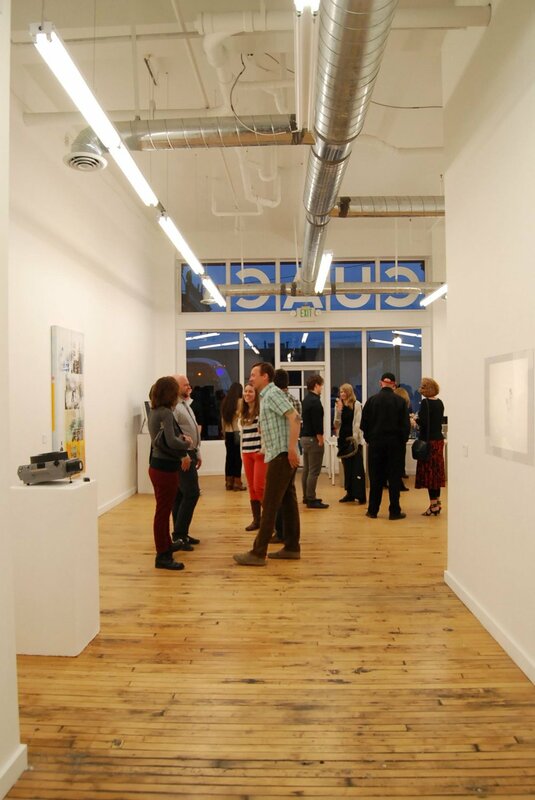 When CUAC opened (as a contemporary art space), there were only two or three contemporary artists in Utah who were exhibiting their work outside of Utah. Now there are about 40. 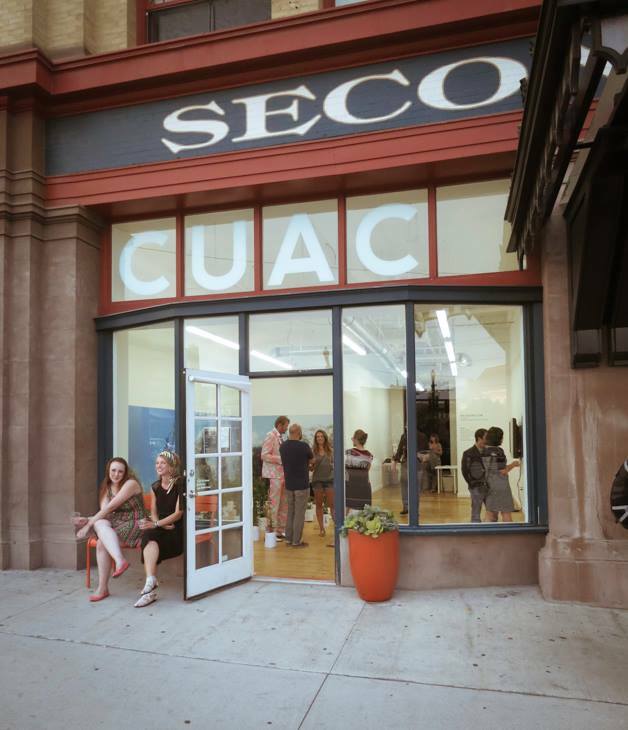 Since CUAC opened, BYU’s MOA and UMFA and Nora Eccles Museum and Utah State and the Harris Gallery at Weber State have all hired contemporary art curators; Salt Lake Art Center changed it’s name and focus to be UMOCA, GARFO and Kayo and NOX Contemporary and God Hates Robots and Granary Art Center have been open; Rio Gallery has hired a contemporary art focused Felica Baca. Our little community has grown a lot. I can’t say how much CUAC has catalyzed that, but we have at least been part of a shift in zeitgeist. I think the biggest strengths in our community are the strong programs BYU and Weber State have and the large number of ambitious and talented young artists that come out of those programs as well as UofU and Utah State (and Snow College). There are lots of good artists here. The weakness is the availability of venues for those artists to exhibit their work and get support. 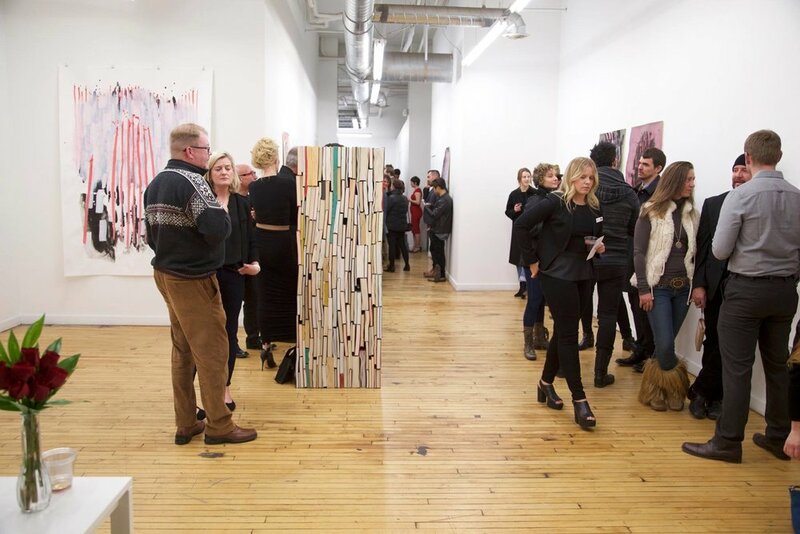 There is still as strong feeling among financial supporters of the arts that is suspicious of contemporary art—not because of content, but because it competes with more traditional art that is strong in our state. There is still a feeling that contemporary art is the weird anomaly compared to the big brother of traditional regional art without the understanding that the reverse is true with a global perspective. Images from CUAC (Central Utah Art Center) in Salt Lake City. How could the community have helped in preventing the closure of CUAC? This is a tricky question. There are two answers, at least. The first is that for a cultural non-profit to thrive, it needs a solid, regular source of income that the organization can count on to cover things like rent and basic operations. ZAP Tier 1 recipients receive somewhere around 1/3 of their operating budget from ZAP each year. They can count on that as a baseline to raise money against. They then seek funding to support programming. CUAC lost that important component of our funding. There isn’t much most people can do to replace that. We have been super fortunate to have that support for so long. That is what we lost. That loss is why we are closing. On the other hand, CUAC, and all non-profit arts organizations rely on community support for the other two thirds of our budgets. This support goes directly into programmatic community offerings, in CUAC’s case, exhibitions and education programming. The costs directly related to exhibitions (e.g. shipping, artist travel, painting the space, printing postcards, etc) came to about $60,000 each year. CUAC had about 12,000 visitors each year. If each person who visited CUAC had donated $5 each year, we could have paid for our exhibition programming. This is something I think most people don’t understand. If people want cultural institutions to thrive in our city, they should give money to support them. Even small amounts like $5 really help if there is a culture of supporting organizations we love and want to see continue. I hope people in Salt Lake will read this and choose their five favorite non-profits and commit to donating $5 or $50 or $100 or whatever they can to supporting them. If we all do this, important offerings will continue to exist and will even grow. What is the next chapter in your life - tell us about some of the projects that you are working on these coming months? And is there a project that you have always wanted to do? The month of May is about building a large sculpture that will go to Las Vegas for a museum show in September. June is a residency at the Joan Mitchell Center in New Orleans. In July I’m installing a permanent sculpture at Southern Oregon University. I’m hoping to do a lot of backpacking in the desert. I’m hoping to go surfing in Costa Rica. I’ll be applying for lots of jobs too. I have no idea how to reasonably answer this question. If I was independently wealthy I’d operate an exhibition venue in Salt Lake City and I’d make art. If doors open the right way, I’ll be a famous artist and I’ll be engaged in the development of community through cultural organizations. I feel like the reality is that there are forces outside of me that can impede those things from happening or they can make them happen. I think a likely scenario is that like most other good artists, I’ll keep making my art and keep scrambling to pay the bills. I thought that would have been in Utah. Now it’s looking like it might be somewhere else.